I always get confused when selecting the options. I just go for the normal cash withdrawal option. But, I would like to know the difference in them. And, is the bank charging you different to use the different options? And is the bank charging you different to use different options? 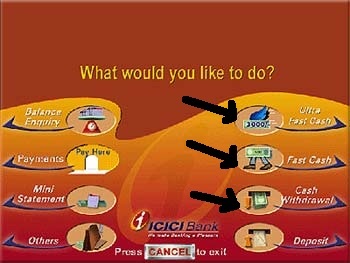 No ICICI Bank does not charge anything extra to use this option. It is just supposed to be for your convenience to withdraw money while your in a hurry. It saves you from making a few extra clicks. Ultra Fast Cash is Fixed amount of Rs 3000 with receipt. 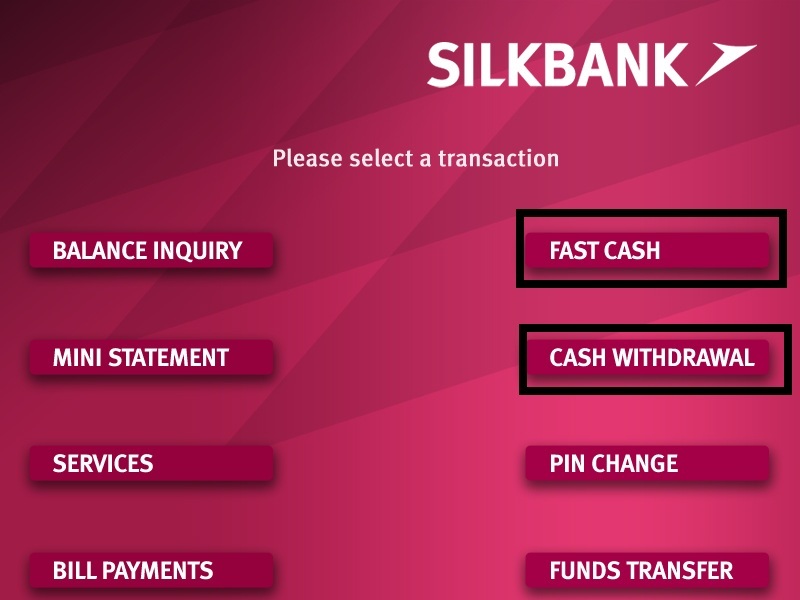 Cash Withdrawl - Takes you through selection screens and you need to enter the amount. HDFC Bank and other Banks allow you to set you amount. So next time you are withdrawing you can just hit that selection and not navigate. I acknowledge the India tag, but I'd suggest that ATM menus are individual to each machine/bank, with common features around the world. UltraFast - would pull a fixed amount from the main account - fixed sum that may be an option for the user to set for future visits. Fast - would pull a choice of 3 fixed amounts from the main account. Not the answer you're looking for? Browse other questions tagged banking bank-account withdrawal atm or ask your own question.